Stressed from school-work? Want to meet new people from your program? Need to de-stress and re-wind? 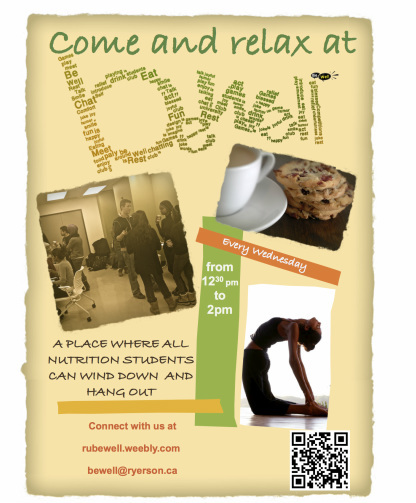 Then make sure you make it to the next Be Well event and you'll enjoy your time, guaranteed!